It seems that the PC version of Modern Warfare 2 has already been hacked, with the Xbox 360 and PlayStation 3 versions being unaffected, for now. These hacks seem to be VAC secure, so they won't be banned anytime soon. Since Infinity Ward decided to remove dedicated servers from MW2, there is no way to kick these cheaters off the game. 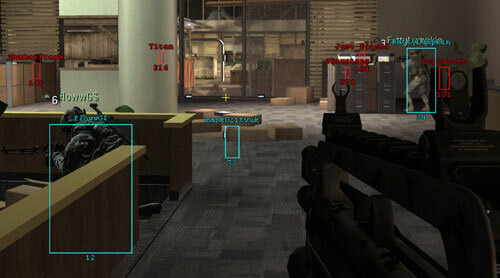 IWNET was replaced with dedicated servers in Black Ops, which meant that you could play your favorite maps without getting hacked. IWNET was supposed to make MW2 more secure, but that didn't work out, now did it? Call of Duty 4 and World at War did have the same problems, but dedicated servers allowed admins to kick/ban cheaters. Hopefully Infinity Ward and Activision will come to their senses soon. Hopefully MW3 will not have IWNET.